While a good mattress topper can make your bed feel more comfortable, it also serves as the shield. That’s why it requires extra care. But maintenance is not that complicated, really. Today, I will teach you how to clean a memory foam mattress topper. These tips can keep your mattress pad fresh and like new longer. So, let’s start right away! There are tons of benefits a good mattress pad can offer you. But to enjoy those benefits longer, you need to take care of the topper. So, here are the most effective solutions you can use. 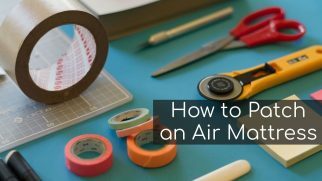 When you don’t know how to clean memory foam, the vacuum seems to be the easiest solution. Since memory foam has an open cell structure, the dust and tiny debris can get stuck inside the material quite easily. So, a vacuum cleaner can help you get rid of them in no time. Just make sure you vacuum your mattress topper regularly to prevent larger buildups. Also, it’s better to place the pad on a firm, even surface. This way, you will be more likely to reach all the spots. You can use a hand vacuum or a regular one with a soft brush attachment. If your vacuum model has a wet cleaning function, feel free to use it too. But in this case, make sure you wait for the mattress topper to dry fully before covering it with sheets. You can take it outside to air dry faster but keep it away from direct sunlight. Also, if it’s too hot outside, it’s better to leave the topper in the house. Too much heat can be harmful to memory foam. This method can help you deal with stains and tough spots. Use a mild detergent, and definitely a high-quality one. Use clean water to dilute your cleaning solution. Damp a soft cloth and spot clean the dirty parts of your topper. You can also use a spray bottle to damp the topper areas. Whichever option you choose, just make sure you don’t make the topper too wet. This may cause seepage to the deeper parts of the mattress pad, which might take too much time to dry or might even ruin the material. Leave the mattress pad for around 30 minutes, allowing the detergent to do its job. Damp a soft cloth with clean water and remove the detergent solution from memory foam. You can also roll the toper and squeeze it lightly to get rid of the excess water. But make sure you aren’t squeezing too much. Leave the pad to dry. You can use paper towels or a dry cloth to soak up the water. Additionally, you can use a fan or a hairdryer to speed up the process. But make sure you don’t direct the hairdryer right onto the topper. Hot air can damage the foam, so it’s better to use the dryer pointing it sideways. Baking soda is a great cleaning solution. It is cheap and easily found in almost any household. Plus, it is very effective when it comes to dirt and odor removal. Now, there are two ways you can use baking soda to clean your foam mattress topper. First, you can mix one part baking soda with two-three parts of clean water. Then, dampen the cloth in this solution and apply it to the dirty spots of the topper. Leave it to soak for around 30 minutes, and then remove the mixture using a clean, damp cloth. Let the topper dry and voila – it’s clean and fresh. This method is effective for all kinds of spots, including old stains and marks. Another way to use baking soda works great when you need to get rid of odors only. This might come in handy if you have a smoker in the house, and the pad smells like cigarettes. Or, for instance, if the topper has a lingering smell from your pets’ fur. Whatever the case is, you just need to sprinkle the entire pad surface with baking soda and leave for at least a few hours (preferably overnight). Then, vacuum cleans it – and the unpleasant odors will disappear. 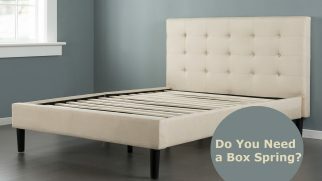 Cleaning your memory foam mattress topper with water is effective for small and fresh stains. You just need to dampen a soft cloth and spot clean the surface. Then, leave it to dry. Again, you can use a spray bottle to wash separate sections of memory foam. Just make sure you use cold water only. Hot water can actually damage the material. Dilute white vinegar with some water (the 1:1 ratio would be fine). Apply the solution to the stains using a soft cloth. Gently rub the vinegar in until the stain is gone. Use a clean damp cloth to wash the vinegar solution off. Let the mattress topper to dry (again, you can use paper towels or a dry cloth to soak up the excess water). 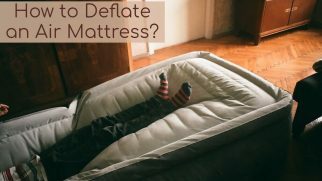 Lay your mattress topper on a flat surface. Get some soapy water (a mixture of your choice, whether dish soap + water or your laundry solution diluted with water). Using a damp cloth or a spray bottle, dampen the surface of your topper and gently rub the cleaning solution in. It’s better to work with smaller sections one by one. So, damp and rub separate areas to avoid too much seepage. Once the surface is all wet, use some clean water to wash the detergent off. Circular motions with a damp cloth tend to work the best. Dab the surface with a dry cloth or paper towels to get rid of the excess moisture. Roll the topper inwards and squeeze it gently (very gently!) to remove the rest of the water residue. Lay the topper flat and let it dry. All of this can be avoided if you simply use a mattress protector. It will keep your memory foam topper safe from spills, stains, and odors. 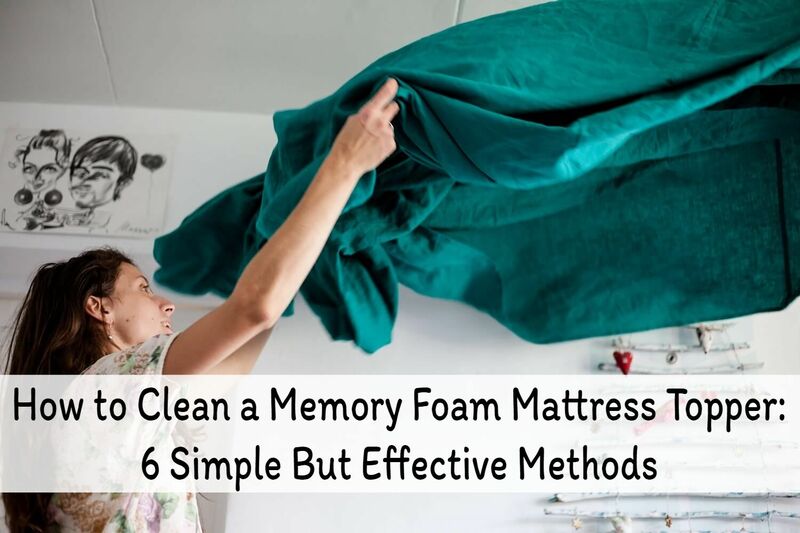 Now, while cleaning your memory foam mattress topper is not a very complex task, there are still some rules you need to follow. Tumble drying the topper. This will most definitely ruin it. Instead, lay the topper flat to air dry. Using peroxide on it. Even when diluted with water, hydrogen peroxide can ruin the texture (and often the color) of memory foam. Directing the hair dryer directly onto the surface. Instead, point it sideways to avoid overheating and damaging the foam. Letting the topper dry in the sun. Again, heat can ruin memory foam, so place the topper in the shade or indoors instead. Cleaning the topper without reading the manufacturer’s labeling. 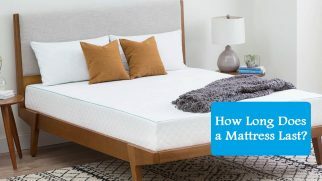 Some mattress toppers require special care, especially if they feature special components (for instance, foam and gel combination). So, make sure you read the manufacturer’s cleaning recommendations first, just to be safe. Squeezing or wiggling the topper too much. Also, never machine wash it. Such intense and rough influence can completely ruin the texture of the foam. Using hot water to clean the topper. My fiance once tried washing our mattress topper and it didn’t end up well. Hot water is destructive for this material. Using the topper when it isn’t fully dry. Even small amounts of moisture can result in mildew and mold development. So, make sure to let the topper dry fully before covering it with the sheets. Waiting for too long before cleaning. Accidental spills and stains should be cleaned right away. Why? Because if you wait, there will be too much seepage. Plus, the dirt will soak in more, and it will be more challenging for you to get rid of it later. How do you usually clean your mattress topper? Do you have special detergent recipes or cleaning tips? Let us know in the comments!